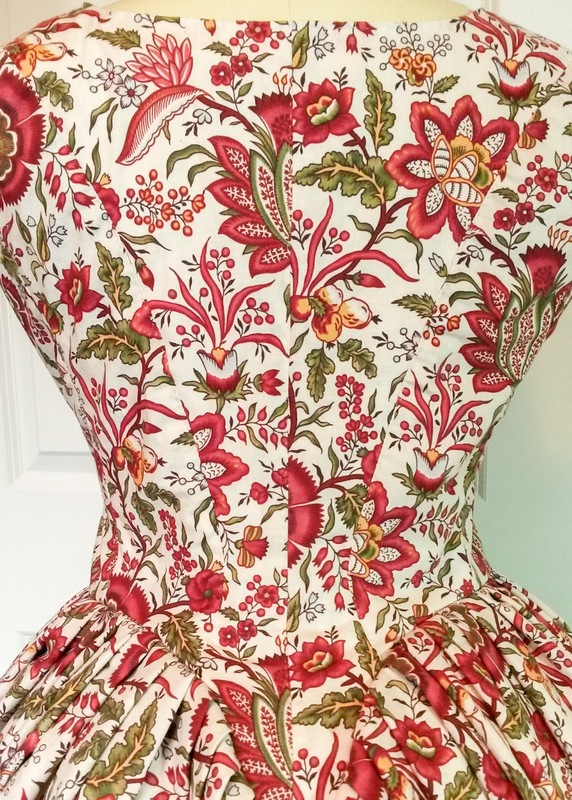 My Polonaise is coming along and it finally looks like something wearable! 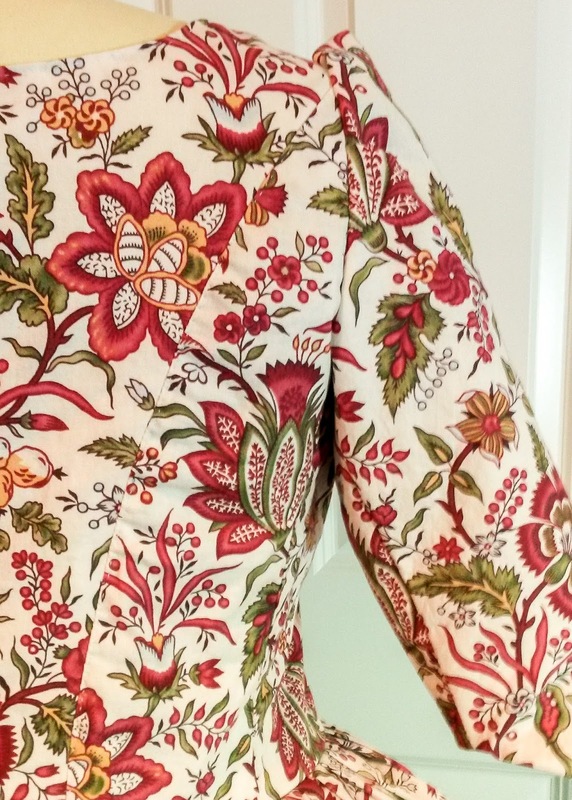 I can't say how much I love this fabric, which is a reproduction print I bought online from Colonial Williamsburg. Isn't it fantastic?! 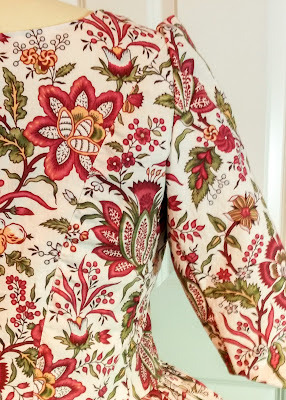 This has been a fun project so far, and even though I'm not taking a historically accurate approach with my sewing methods (I machine sewed most of it and did a topstitch by hand to make it at least look a little more accurate) I think it's looking pretty good and I'm down to just a few more steps before it should be finished. 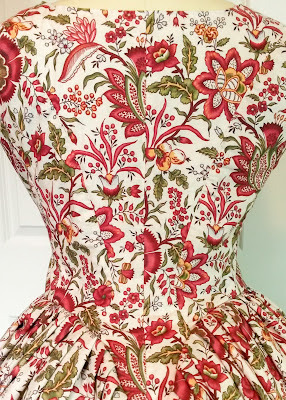 I've been photographing and videoing the making of this dress, so as long as the photo's/footage looks good you should be seeing what has gone into making this sometime after it's all finished.